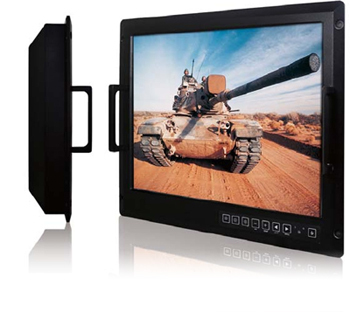 20.1"Military Grade Rugged Console Display is designed for a rough terrain and harsh weather conditions which having shock and vibration safeguards. 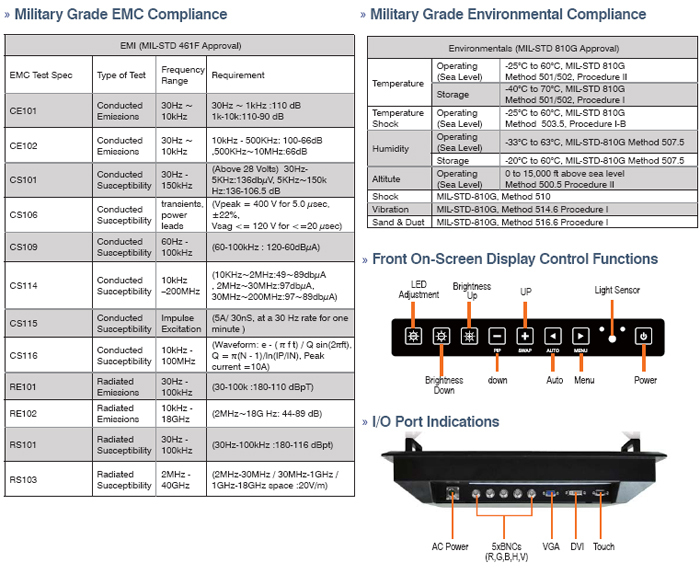 Our Military Grade Display also has tested for both MIL-STD 810G environmental and MIL-STD 461F EMC standard. Providing a longer lifetime, high image quality, and wide range of temperatures and anti-corrosion mechanical protection. Our extreme Rugged Konsole Display is able to stand up in battlefiled and integrate most advanced technologies available. Our strength of product development lies in the R&D team which implements all engineering functions in-house. We value creativity and efficiency by awarding our best engineers for their new ideas and creativity. We have long-standing experiences in providing rugged systems and mobile devices to the military grade level. We have the capacity to design all applications up to Military Grade solutions. For this Military Grade Display will available at December of this year.